We artificially incubation all our eggs from day 0. Because the incubators are a warm humid environment it is essential to maintain very high hygiene standards to prevent growth of bacteria which might contaminate the eggs. 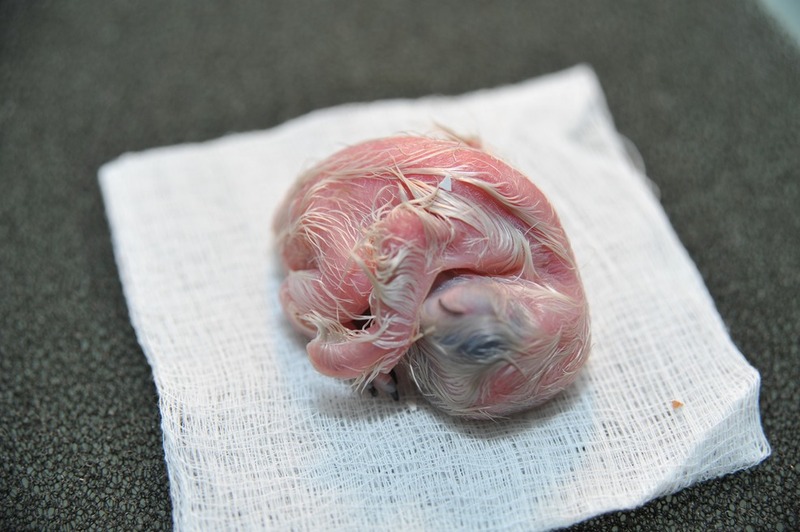 Before entering the incubation facility eggs are sterilised by dipping them in a sterilising solution. This insures that the incubators are not contaminated from new eggs. The eggs are started off in a Contaq incubator in which they are kept warm using a bag sitting on top of the eggs. After 12 days they are moved to an AB incubator. When the eggs pip they are moved to a hatcher in which has a high humidity. Thee gas are no longer turned and are placed in separate bowls on a sterile pad until they hatch, which can take unto 60 hours. Eggs in hatcher. Note the labels on top which identifies each egg so and when it is due to hatch. With so many eggs being incubated each year it woful be impossible to manage the incubation by hand. We have developed a sophisticated yet easy to use management computer programme that we use to manage the incubation and all our stock control. The Animal Information Management System, AIMS, was developed by the Manager of the Centre, David Le Mesurier. This is available top other breeders through David’s company Avian Management Services. Eggs are measured and weighed when they com into the incubation facility. They are then placed into one of the Contaq incubators. They are periodically weighted and the weight entered into the computer system. 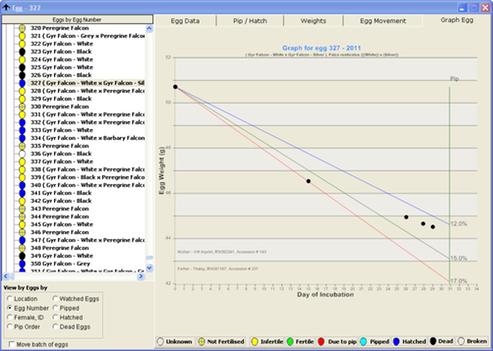 It then calculated the exact humidity the eggs needs in order for it to loose the correct amount of weight by the time it pips. After 12 days the eggs are moved to an AB incubator in the 2nd stage incubation room.